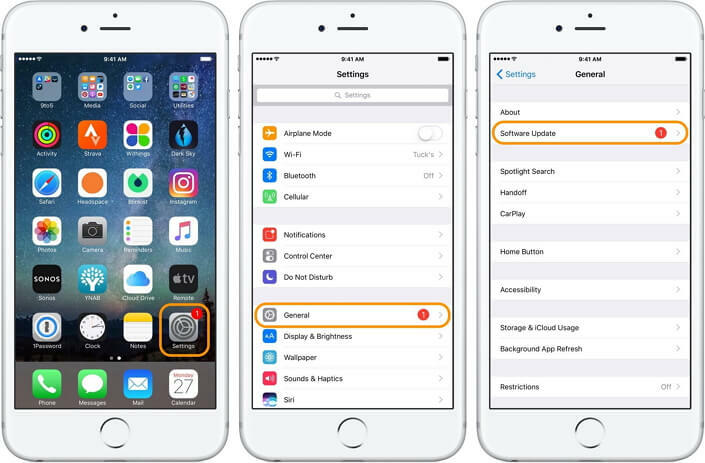 Hundreds of people reported about a bug on their iPhone. This bug was restarting their iPhone in a loop over and over again. 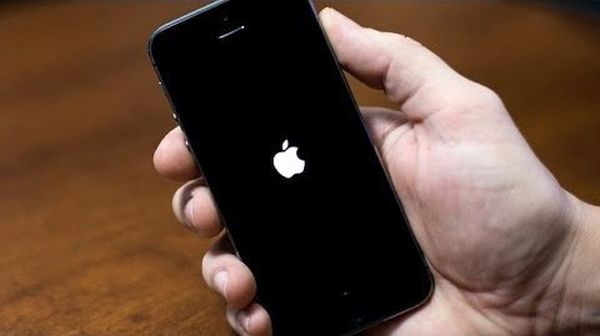 The people were unable to do any job because their iPhones were restarting continuously. This was a major problem in Apple’s new iOS 11. However, Apple gave some suggestions to the people to fix this bug. We will tell them here to help you. Why Does My iPhone Restart Randomly? All the people who are specially using iOS 11 faced this problem due to some app notifications. Some time based local notifications were causing this problem. When iPhone receive such notification, it allows the device to refresh the app’s background data. It then put the iPhone in a loop where it was rebooting repeatedly. Move to the Settings app and move on in the General option. Here you will see Software Update option, click on it. Now you will see the iOS 12 update for your iPhone. You can install this update from this section in your Settings app. 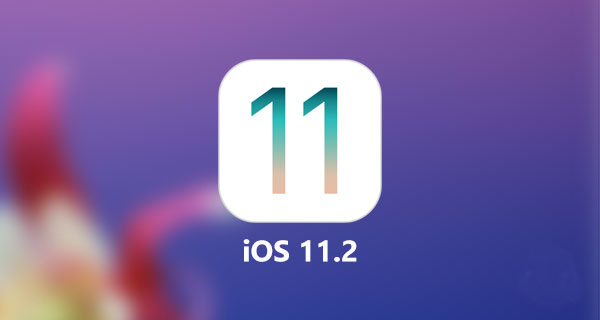 After the successful installation of iOS 12 update, you will hopefully fix the restarting issue on your iPhone. If your iPhone still restarts randomly even after you updating to iOS 11.3. Then you have to completely reset your iPhone. 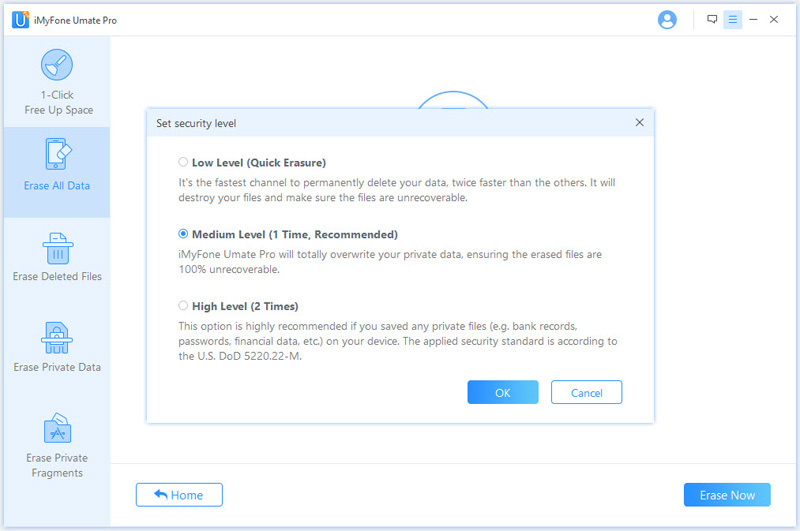 iMyFone Umate Pro is a tool that special designed for erasing data for iOS devices. Compared with the ordinary factory reset, there is no fragment file left after using iMyFone Umate Pro. And the left iOS 11 fragments may be the main source of your iPhone still restarts randomly even after updating to iOS 12. 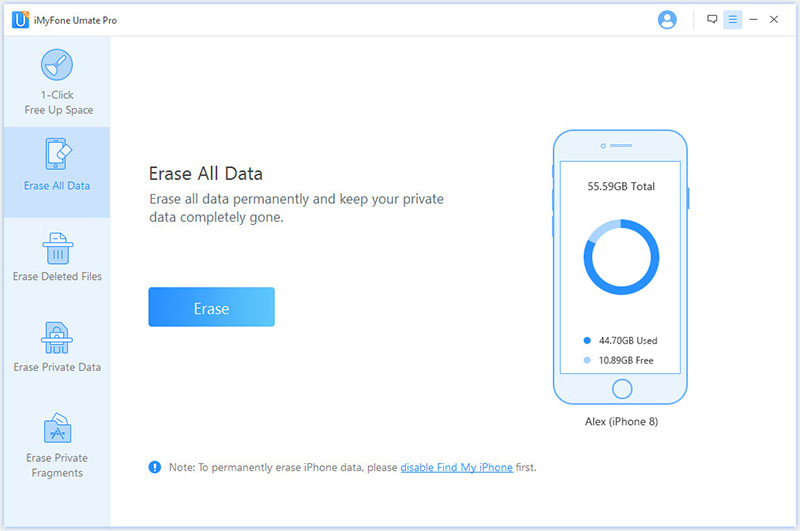 Permanently erase ios data without chance of recovery. Permanently wipe all your deleted files to keep your privacy safe. Can preview the files and wipe them selectively. 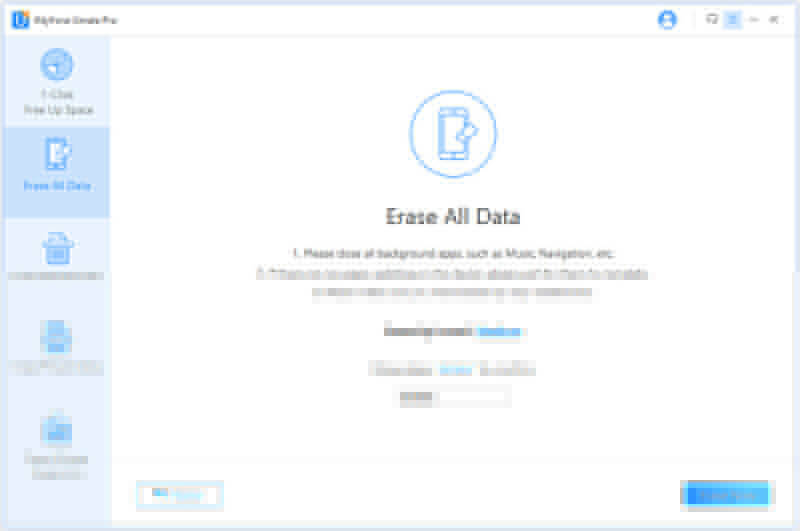 Permanently wipe all the fragments left by apps, keep your device clean. Step 1: Launch iMyFone Umate Pro and connect your iPhone to computer. Step 2: Choose Erase All Data mode and click on Erase button. Step 3: Then select a security level, to completely erase your iPhone, choose High Level. Step 4: Then manually input "delete" at textbox to confrim your action, then click on Erase Now button to start the process. The latest iOS 12 can be installed on iPhone 5s and later. This iOS is not supported by the older models of iPhones like iPhone 4s, 4 and 3Gs. When we talk about iPads, it includes iPad mini 2, 3, 4, iPad Air, iPad Air 2, iPad Pro 9.7 inch, 10.5 inches, and 12.9 inches including first and second generation. iPod Touch 6th generation is also supported by the latest iOS 11.3. The main feature of iOS 12 is bug fixes. Apple introduced the iOS 12 update to solve all the problems and issues in the older version known as iOS 11. Previous version had some bugs like mentioned above which were completely fixed in the new iOS 12. The new update of iOS contains a fantastic feature. This feature is better in the iOS 12 update. Now you can use the fast charging feature on your iOS 12. Enjoy fast wireless charging on your iPhone which is a cool feature. There are some other new features added to the new iOS 12. Now you can easily find the Control Center from the top side of your mobile screen. You can also see a bit difference in the Wi-Fi and Bluetooth indicator. Moreover, Apple added a new live wallpaper feature in iOS 12 update.